Looking for some career inspiration? Her are six women who broke through the barriers to be promoted to the top of their professions in 2018. We justifiably hear a great deal about the barriers and ceilings holding women back in their careers. But it’s not often – outside the few famous female bosses who seem to dominate the media – that we hear about the ones who did make it. The women who successfully (and often quietly) climbed to the very top of their industry or business. And there are many good reasons why women deserve to rise through the ranks. Aside from their own talent and hard work, it’s been shown that companies that intentionally pursue the appointment of women to their top leadership ranks are better positioned to outperform competitors. Firms with the highest gender diversity show stronger stock price growth (70%), and having at least one woman on the board decreases bankruptcy by a full 20%. To celebrate some of the lesser-known success stories, here are six inspiring women who have reached the top of their professions in 2018, as collated by international jobs network WORK180. 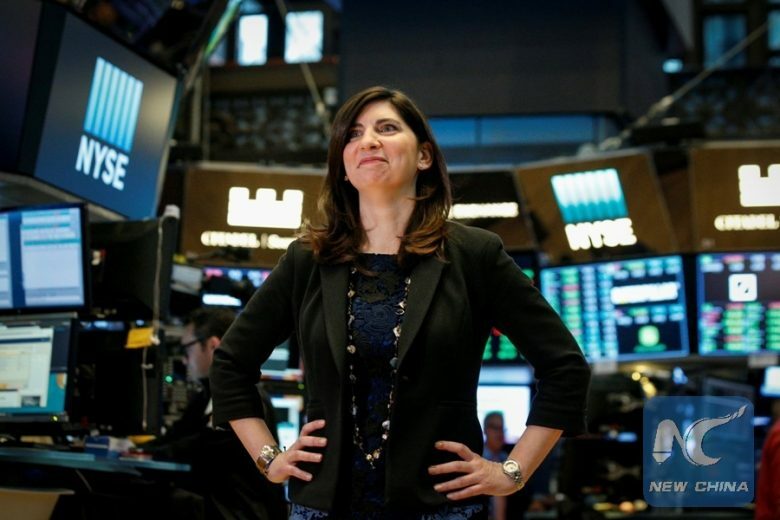 This is the first time the NYSE has had a female leader in its 226-year history. Stacey’s appointment raises hopes that the glass ceiling may have finally cracked on Wall Street. “It’s really important to recognise that any time a woman pushes the boundaries and redefines the boundaries, she’s redefining them for everyone else that follows her”. Any time a woman is added to the C-Suite it’s something that should be celebrated. Given that the rate of change for women into the C-suite and into the CEO level has been so slow, any time we see one, it is certainly progress. Shemara Wikramanayake is the first female chief executive of Macquarie Group, taking over from Nicholas Moore, whose decade-long stint in the top job is coming to an end. “With Shemara, we have a really outstanding successor” says Nicholas. Shemara is now Australia’s top female executive at a time of intense regulatory and economic headwinds for financial companies.